So, I wanted to do a bit more with my blog in 2019. Why not start with a look at the books and blogs that I've read over the past month. 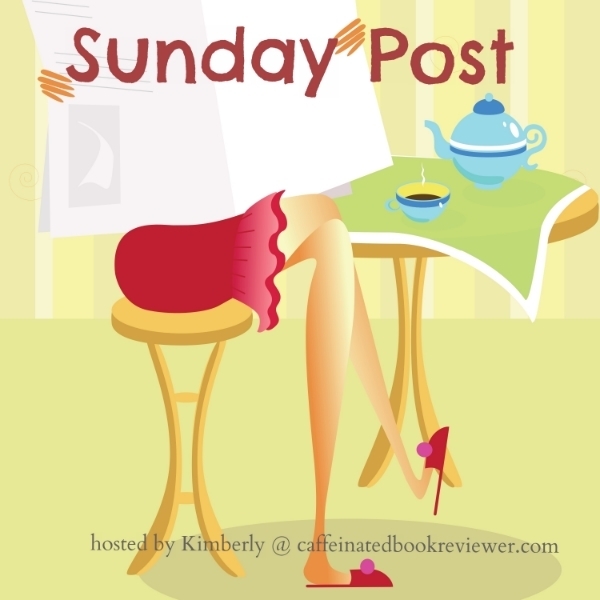 For the longest time, I've been seeing posts about The Sunday Post Meme and I'm finally going to join in! It's technically a weekly meme, but that feels a bit too much for me, but I'm taking it on as a monthly meme to join in. Well, that's the plan anyway, I may do more or less, we'll see. Find out more here at Caffeinated Book Reviewer to see details about how you can join! I tossed away some old writing notebooks. I reflected on my writing lessons for 2018 on the Women on Writing blog I contribute to. I reviewed a book on renewing your spirit in times of job loss. Read a beautiful children's book about Israel's bird migration. Suggested some amazing things on Saturday night. Learned a valuable lesson on writing recently. 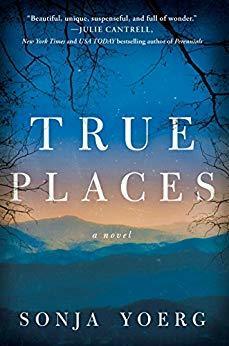 Thanks to Amazon's prime benefit of getting one book a month for free, I downloaded True Places by Sonja Yoerg. It's definitely out of my usual reading tastes and I can't wait to see how things go. Check it out on Goodreads. I joined two challenges for next year! I am tempted to put all of my books that are sitting in my Goodreads reading list into a 2019 TBR List and read and blog about it next year. Is that too much to ask of myself (considering there are 350 books and growing) or possible? I anticipate there will be some I won't finish or won't read due to a variety of reasons. Could be a fun challenge though! Thanks for sharing the challenges. I am always looking to find and share new ones! The A-Z challenge is quite something to undertake. Reading challenges are always fun. Good luck with yours! I love comments! The good, the bad, and the ugly, so tell me what you have to say! And if you like what you read (or at least find yourself entertained), follow my blog to read more. Although I'm not always able to respond to comments immediately, I appreciate every one of them.